Fore! August is National Golf Month so look out for all of those golfers logging practice hours hoping to make their dream of wearing the coveted green Master’s jacket a reality. Lucky for them, many B&Bs are now offering stay and play and hassle-free unlimited golf packages that will help them improve their golf handicaps. 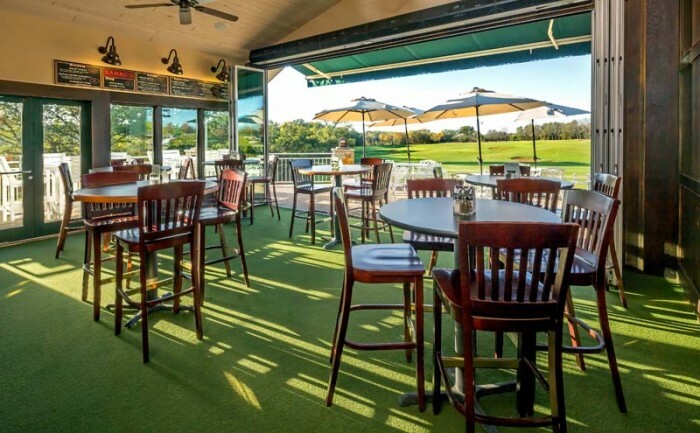 These luxurious getaways will help you work on your putting stroke, and simply enjoy a dinner overlooking stunning fairways. Old Fashioned, Manhattan, and Mint Julep. Just as these classic and refreshing drinks help you unwind after a long day, so too does the charming Bourbon Manor Bed & Breakfast Inn in Bardstown, KY. This historic bed and breakfast features ten spirit-themed, spacious guestrooms decorated with antique treasures, overlooking the beautiful private grounds. Reserve your tee times and a cart of your choice at My Old Kentucky Home State Park, which features 6,351 yards of golf, or the 120-acre Lincoln Homestead State Park. After working up an appetite, enjoy a delectable dinner at one of the nearby quality restaurants of your choice. Then relax in your private Jacuzzi tub for some quiet teatime as you think about your morning tee off. Don’t forget to add a shot of bourbon to your nightcap. After all, you are in the Bourbon capital of the world. The LODGE at Spirit Hollow, framed by the beautiful Mississippi River Valley, delivers an exhilarating, challenging, and rewarding golf experience. Rolling hills and natural streams offer the perfect setting for unlimited golf the day you arrive in Burlington, IA. Choose from 8 guestrooms that feature original paintings of golf’s greatest players, all with amazing views of the course. The deck overlooking the beautiful grounds is the perfect respite after a day full of chunks. Fuel up before your next round with dinner at The Claret Jug, the private dining room for guests of the Lodge and the Cabins, named in honor for the Open Championship. This hassle-free getaway helps guests retire for the evening with visions of birdies dancing in their head. The LODGE, ranked number two in Iowa by Golf Digest and Golf Week, is truly a golf enthusiasts dream. Hallelujah! 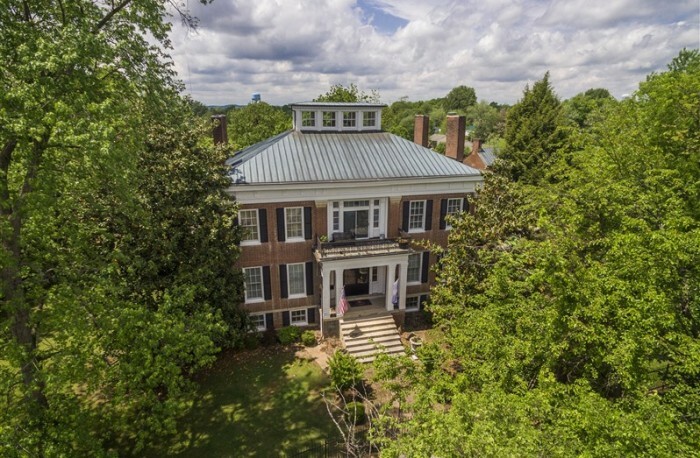 Southern charm and hospitality are on full display at Blessings on State Bed & Breakfast. 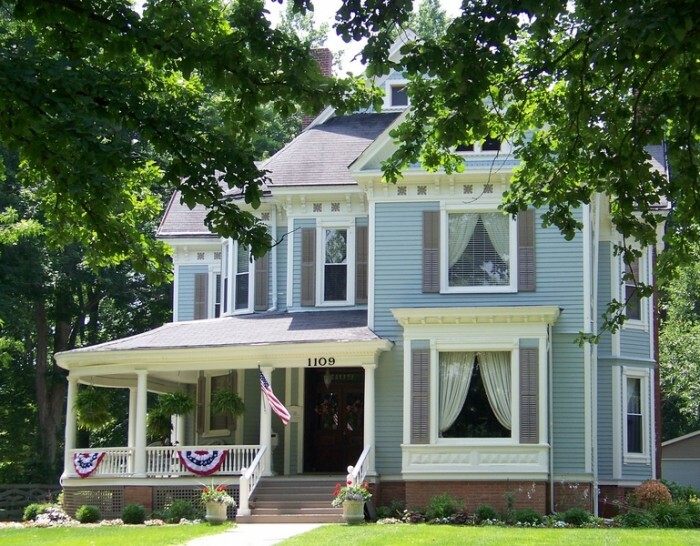 This beautiful 120-year-old mansion in Jacksonville, IL, features suites that invite guests to take in the rich history and culture in the heart of the Midwest. Antique chandeliers, private sitting rooms, and an inviting deep slipper tub will transport you back to a time of indulgence and decadence. Play some early bird golf on Saturday at The Links in Jacksonville’s Nichol’s Park so you can spend your afternoon and evening visiting the Underground Railroad sites, watching stock car races at the Jacksonville Raceway, or following the steps of Abraham Lincoln as you explore exhibits. Before you retire for the night to your feather-topped bed, schedule you’re A.M. tee time, then count your blessing that tomorrow is another opportunity to face the course again. Maybe you’ll even make that elusive hole-in-one. Amen to that! Experience golf in the grand style of Scotland and Ireland at York Harbor Inn in picturesque coastal Maine. The natural landscape exudes beauty and inspires greatness on this par 71/6500-yard championship course. Choose from six separate lodges with ocean and beach views, or the main inn, which offers 22 guest rooms featuring such amenities as fireplaces and private baths. 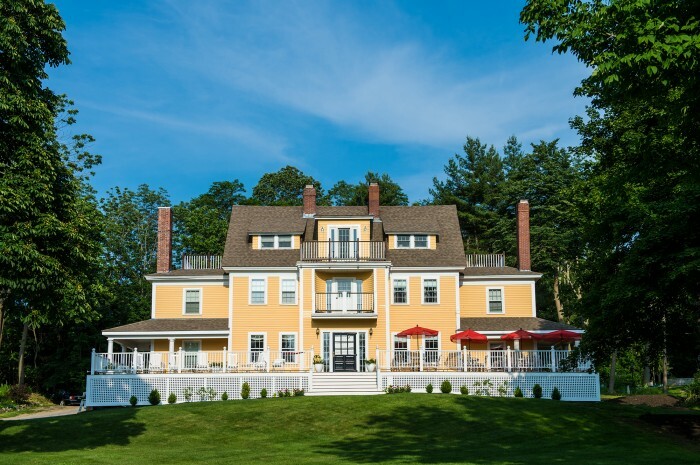 Take in the beauty within the walls of the inn then embrace it again on The Outlook Golf Course in South Berwick, Maine. Your seacoast golf experience includes 18 holes of golf with a cart for two players. Spend the day perfecting your swing on a traditional golf course then enjoy a lovely ocean view dinner at the 1637 Restaurant. If you prefer a more relaxed vibe, venture below deck to the Ship’s Cellar Pub in the lower level of the inn. After spending hours on the links, sinking into a comfortable leather chair is the perfect way to end the day. No need to check your scorecard to know that this getaway is an ace. This entry was posted in Golf Getaways, Mancations, The Great Outdoors and tagged August, b&b, bed breakfast, golf, golf getaway, Golf Month, illinois, Illinois bed and breakfast, indiana, indiana bed & breakfast, inn, Kentucky bed and breakfasts, maine, maine bed and breakfast, National Golf Month, Summer Destinations, summer getaway, summer travel, summer travel trends, travel by BnBFinder. Bookmark the permalink.